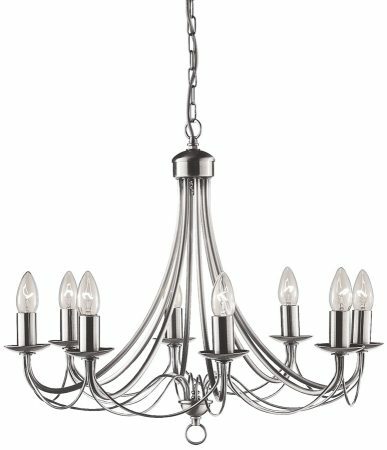 This Maypole bird cage 8 light satin silver finish chandelier features lavish metalwork arms that drape and swoop outwards to great effect. 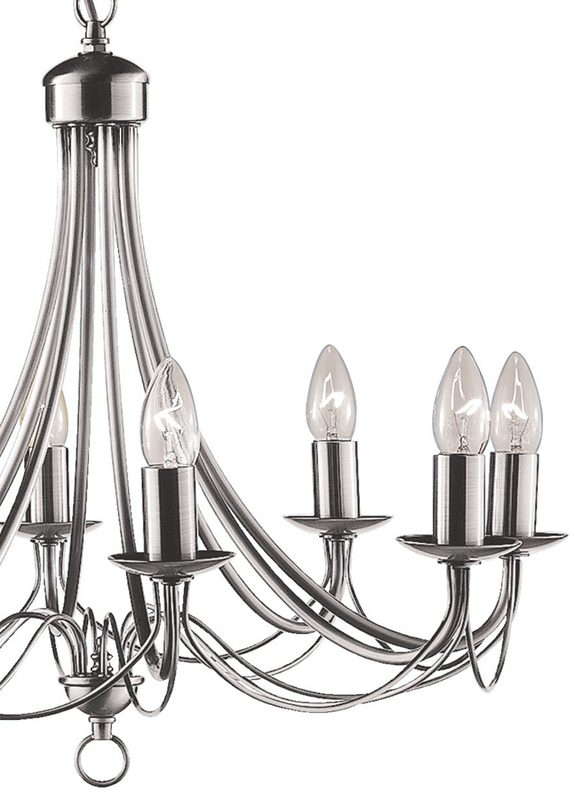 Eight candle style lights, with candle pans and candle tubes are mounted on the long curved arms, all suspended from a satin silver ceiling plate and chain. The rich layers create a dreamy look that is both elegant and modern for your living room, bedroom, hallway or dining area. Height adjustable at the time of installation by removing chain links, please see below for exact dimensions. There are matching fittings available in the satin silver finish Maypole lighting range that can be seen below and include a five-light chandelier and double wall light.